One of the most valuable systems in any commercial facility is the heating and cooling system. In Allen, Texas, the hot and humid climate necessitates a functional HVAC system, so make sure yours is always working properly by keeping up with preventive maintenance. Maintaining the commercial HVAC system can reduce the need for expensive repairs and keep your HVAC system running more efficiently. A commercial HVAC system can last between 15 and 20 years. In order to reach that life span without constantly having to repair your unit, it’s important to bring in a professional for annual maintenance. 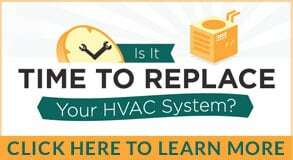 During the tuneup, your HVAC technician will inspect the system and make sure it’s working properly. If anything is awry, he or she can perform minor repairs at the time instead of allowing the system to keep running, causing further damage that will require more extensive repairs. Maintenance can help this valuable system in your commercial structure reach its full life span. Another benefit of regular maintenance is improved efficiency. When a commercial HVAC system operates more efficiently, it uses less energy, which can help save money every month on heating and cooling bills. The HVAC system in a building can use close to half of the total energy, so it makes sense you’d want to limit waste as much as possible to keep your costs under control. Indoor air quality is a rising problem in commercial and residential structures, so it’s important for commercial building owners and managers to take steps to make sure the air flowing through the office is clean and healthy. As part of the maintenance, your technician should calibrate the control systems, inspect, clean, and service the system and replace any necessary components. Your system can operate more cleanly and efficiently, providing healthier air to breathe. At Bill Joplin’s Air Conditioning & Heating, we specialize in commercial HVAC maintenance, so contact us at 888-414-4655 to take advantage of these benefits at your facility. Maintaining the unit can reduce the need for expensive repairs and keep your HVAC system running more efficiently.